The next release is just around the corner and we want to give you a sneak preview of some upcoming improvements we’re excited about. So here’s what you are soon going to see when you log into your Pidoco account. We are introducing an even easier way to create prototypes for a large number of devices, including iPhone, iPad, Android devices and web applications using our new device dialog. 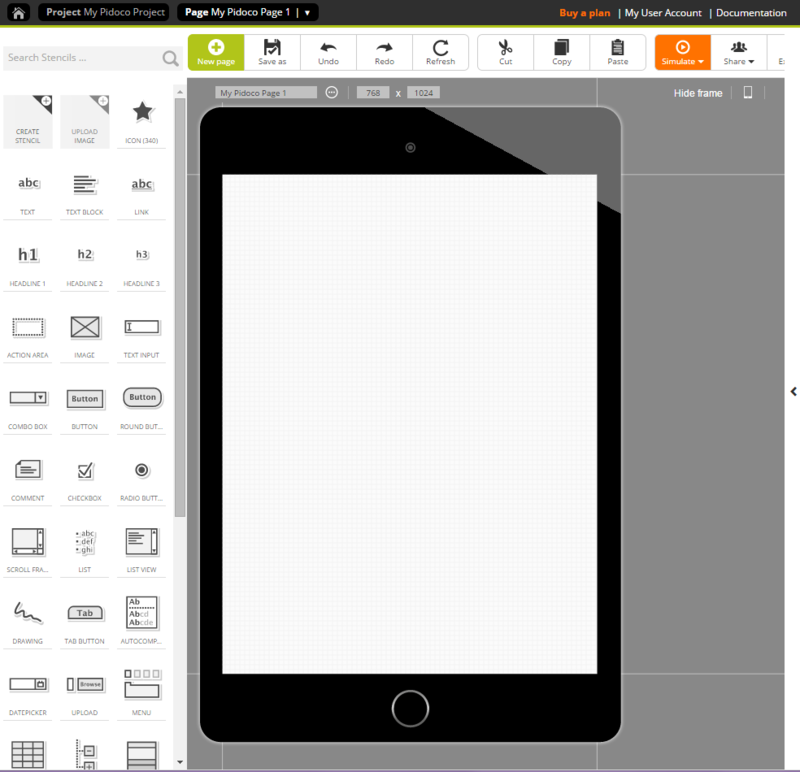 Instead of selecting the device or page type with every new page, you will select a default device type for your project when you create it. Of course, you can change the page type at any time and you will still be able to have pages for different devices in one prototype. Along with the new page setup, prototype pages will receive an optional frame in editing and simulation mode that will make your prototypes look more realistic than ever. 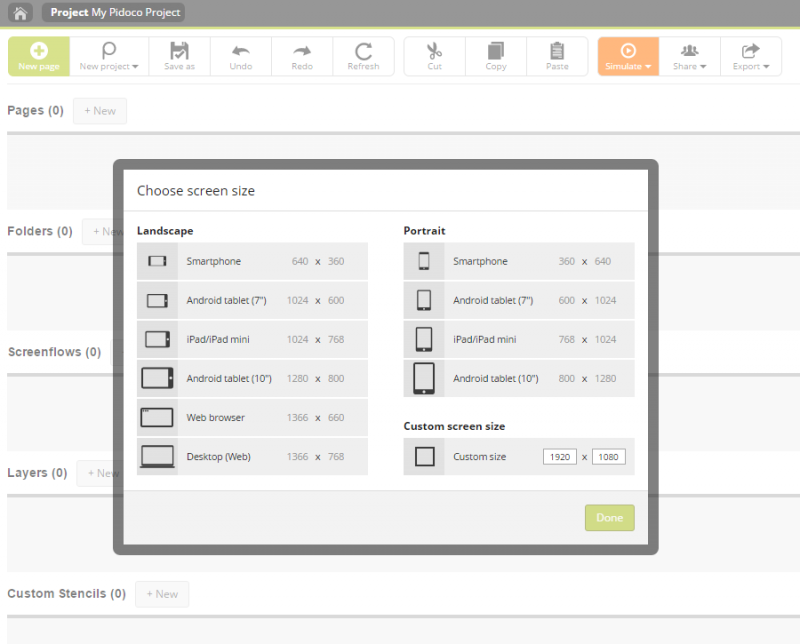 The frame will match the device type you pick for your pages and can be hidden if you don’t need it.